Big Warri (Ode-Itsekiri) in Warri South Local Government Area, which is the ancestral home of Itsekiri Nation was agog Friday February 1, as children, family members, friends and close associates of Second World War Veteran, late Pa. Stephen Nanna (great grandson of Chief Nanna of Itsekiri) gathered to celebrate him 10 years after his transition to the world beyond. 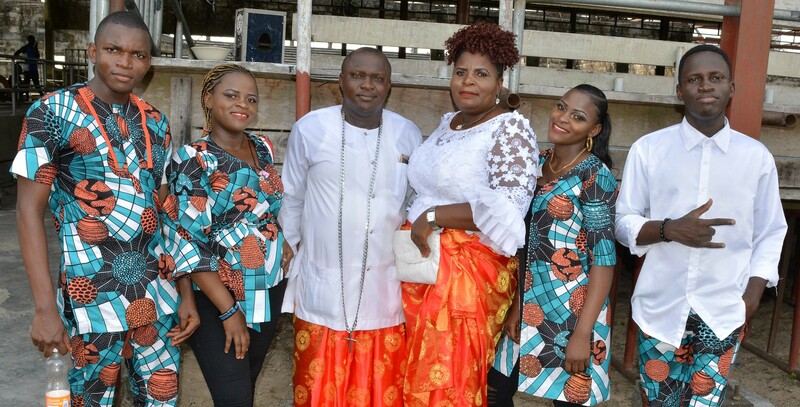 The 10-year remembrance of late Pa. Stephen Nanna turned tributes day as his children, brothers, sisters and close associates, showered encomium on him one after the other, describing him as a great Itsekiri son whom they will greatly remember for a long time to come. According to his uncle, Hon. Olayemi Johnson Nanna, late Pa. Stephen Nanna “due to his bravery in life joined the British Army and was deployed to fight the Second World War in India, Pakistan, other countries and came back alive successfully after the war”. Hon. Johnson Nanna appealed to the Federal, State and Local Governments to set up endowment fund for families of heroes who “did not fall at the Second World War” so as to enable them take care of their family. In his tribute to his father, the immediate past Secretary to Warri South Local Government, Hon. Bawo Alex Nanna, said his father's good-will has opened doors for them, describing his late father as an upright person, who gave them quality education and taught them good values of live. Hon. Bawo Nanna promised to always imbibe the good virtues of his father and pass it on to his children. Our Senior Correspondent reports that others who paid tributes included eldest son of Pa. Stephen Nanna, Engr. Ramsy Nanna, Prof. Lucky Akaruese, Chairman of Big Warri Community, Mr. Sunny Bodor and the member representing Orugboh Ward in Warri South Legislative Arm, Hon. Misan Fomboh. Late Pa. Stephen Nanna "Dispenser", as he was fondly called was born in 1919 and he died February 1, 2009.